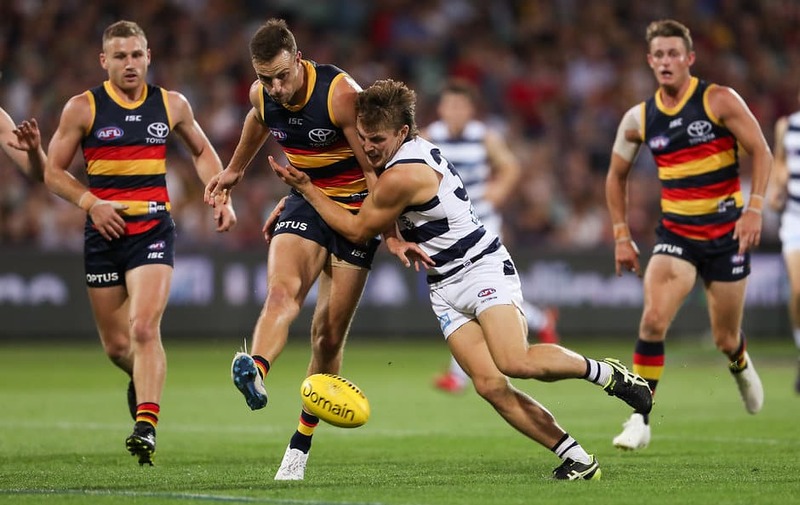 Adelaide will face North Melbourne at Marvel Stadium as selected. Brad Crouch, Jake Kelly, Myles Poholke and Chayce Jones will start the game on the interchange. The Crows made two changes to the side that lost to Geelong last week, replacing Paul Seedsman (knee) and Bryce Gibbs (omitted) with Poholke and Cam Ellis-Yolmen. First bounce is at 7.25pm AEDT and will be broadcast on Channel 7 and Fox Sports 3.